This state-of-the-art SLSA offers soaring pilots the best of both worlds. Its sleek light weight composite fiber glass and carbon fiber design can carry two pilots and their baggage nearly 800 nm on 26 gallons of fuel...(economy cruise) or if conditions look fantastic just hop in and let the Rotax 912 carry you to cloud base where you can shut down, feather the prop and enjoy the silent flight of soaring in this sleek 15m SLSA. 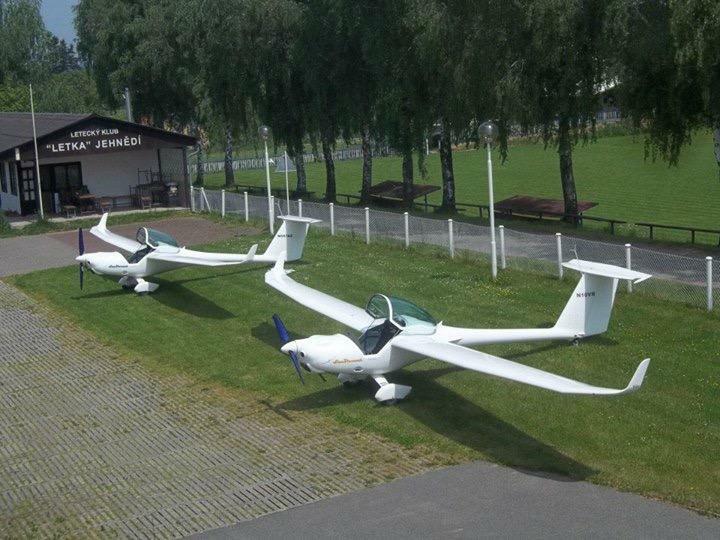 AIRUSA is a dealer for Distar CZ a.s., the producer of these Gliders. AIRUSA sales, services and support the owners in the United States, Canada and Central America. Call for SunDancer pricing with either a Rotax 912 engine UL 80 hp or ULS 100 hp. 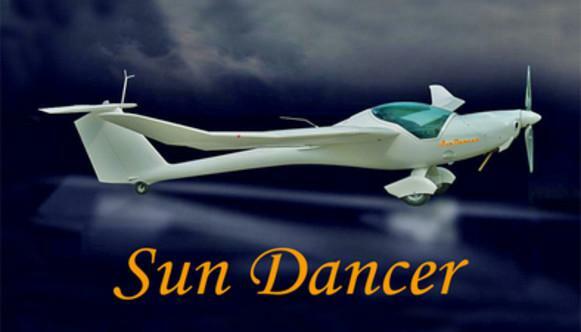 Flying the Sun Dancer as a glider requires a student or private glider rating with a self-launch endorsement. As a glider no tail dragger endorsement is needed. Properly equipped the SunDancer can take you to the floor of Class A airspace or even higher in an open wave window. We have flown the Sun Dancer to the floor of Class A airspace many times over the Sierra Nevada. The view from the SunDancer is breath taking. Flying the SunDancer as a glider, which it is, no medical is needed. If your medical has been denied or revoked then a glider rating is your answer to renewed freedom of flight and the SunDancer motorglider will take you there. Flying the SunDancer motorglider as a sport pilot with a current driver’s license and proper endorsements the pilot is limited to 10,000 MSL and day VFR only. A Private Pilot with a current medical can fly the SunDancer motorglider using his sport pilot privileges to fly light sport aircraft without restrictions. Without a current medical the private rated pilot can fly the SunDancer as a sport pilot with a current driver's license.